YOU BE THE TOP GUN! 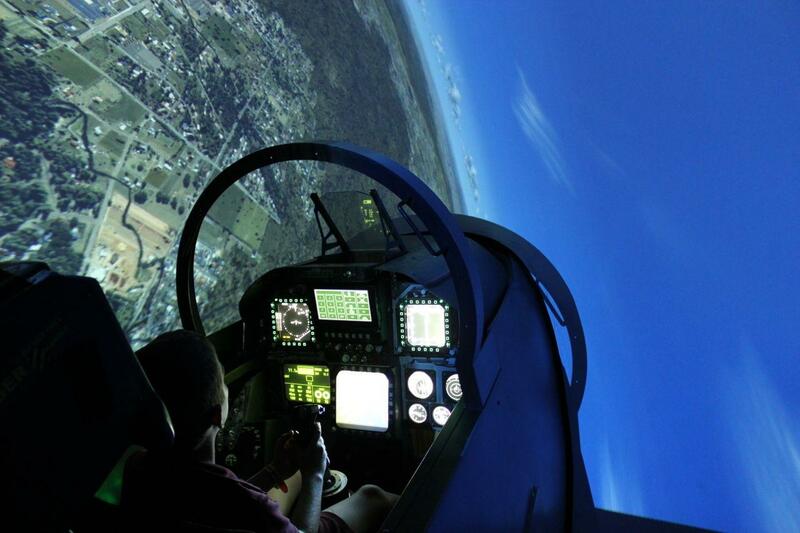 This Top Gun fighter pilot simulator experience is as close as you'll get to flying the real F/A-18F Super Hornet. You will be immersed in our Simulators, from flying at the speed of sound, seeing the ground rush below you on a bombing run, to shooting for the stars in an Air to Air combat mission. At the Air Combat Centre you'll "feel the need for speed". Our 30 minute mission is designed to give you a taste of what flying a fast jet is really like. Be warned though; it's addictive. The experience will allow you to fully experience the aircraft and the capabilities it really has offer. Strap in and become a Top Gun. You will be expertly briefed by our instructors, taken into the jet and given instruction throughout your flight. Bomb ranges, take on enemy fighters or target drones, this mission will have you buzzing. It's FAST! It's BRUTAL! It's FUN!! To redeem a voucher, please enter the code at checkout. If you have two vouchers that you would like to redeem at the same time, a separate order will need to be added for the same date and time slot. The second order will be assigned to the second Hornet simulator. Please enter the participants details when you make the booking or purchase a gift certificate. Please email us info@aircombatcentre.com.au for assistance with bookings.